Can Diet Soda Cause Dizziness, Headache & Nausea? If you've gone on a diet, you may have tried switching to diet soda because it has fewer calories. Diabetics will sometimes drink diet soda because it's made with sweeteners rather than sugar. Just because diet soda doesn't contain real sugar and has fewer calories, it doesn't make it healthy. You can experience negative side effects ranging from headache to bone loss. 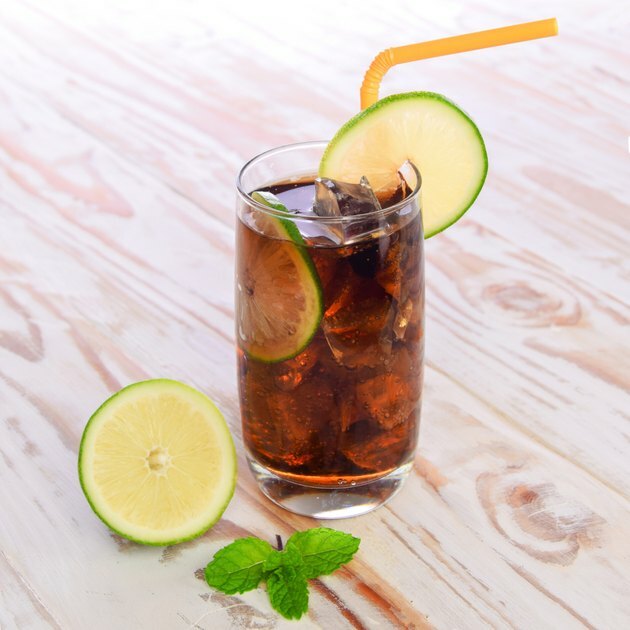 Some diet sodas are sweetened with aspartame, which tastes up to 220 times stronger than real sugar, according to the National Institutes of Health MedlinePlus.com. Aspartame is an artificial sweetener and is used in diet sodas, sugar-free gums and breath mints. You can experience side effects such as headache, nausea, dizziness, memory loss, vertigo, depression, fatigue, muscle spasms and anxiety attacks. Depending upon the type of sweetener that is used in the particular diet soda you're drinking, you may experience low blood pressure, bloating, gas, diarrhea and vomiting. Certain sweeteners, such as stevia, are in the same family of plants that include daisies, ragweed and chrysanthemums; this can cause an allergic reaction if you have known allergies to these particular types of plants. Aside from experiencing physical side effects such as headache, dizziness and nausea, diet soda can also cause damage to your organs, teeth and bones without you noticing until it's too late. While diet soda may not contain real sugar, it is still very acidic, and the acid can damage your tooth enamel. Diet soda contains phosphoric acid, which causes the calcium in your bloodstream to excrete through your urine faster, leading to bone loss. If you constantly drink diet soda, you could be putting yourself at an increased risk of kidney damage, according to a study in the January 2011 issue of the "Clinical Journal of the American Society of Nephrology." The study reports that more than 2 diet sodas per day doubles your risk of declining kidney function. If you plan on drinking diet soda, talk to your health care provider about which diet soda you intend to drink and the ingredients found in the diet soda. Your health care provider may recommend drinking a different type or brand of diet soda to help eliminate possible side effects, especially if you seem to have sensitivity to some of the ingredients. If you already drink diet soda and experience certain side effects on a regular basis, keep a journal of how much and how often you drink diet soda and when the side effects begin to occur and which side effects seem to bother you the most. Is Soda Bad for Your Kidneys? What Is a Hypocaloric Diet? Can Drinking Diet Soda Give You Gas? Does Diet Soda Cause Bloating & Water Weight Gain? Will Diet Coke Raise Blood Sugar Levels Up in Diabetics?